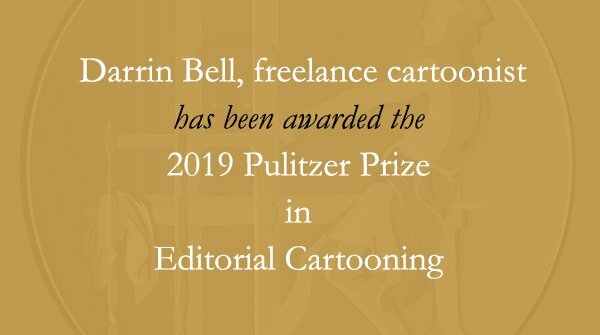 The Pulitzer Prize organization has announced the 2019 winners. The 2019 winner in the Editorial Cartooning category is Darrin Bell. For pointed political commentary, informed by comics history, that provided readers nuanced satire of the Trump phenomenon. For provocative illustrations that channeled cultural and historical references with expert artistry and an eye for hypocrisy and injustice. Previous winners in the Editorial Cartooning category. More on the 2019 Pulitzer Prizes. Congrats to Darrin! Well deserved! I noticed that Bell, Bolling, and Rogers are all freelancers. Is this the first time that none of the Pulitzer finalists for editorial cartoons were newspaper staff cartoonists? as another authority on the history of cartooning can you name another conservative Pulitzer winning cartoonist other than Ramirez (not exactly a controversial figure) since 1955? The silence is deafening but by any fair judgement the Pulitzer is a fixed prize for liberals only. My conservative crowd and I don’t cry but it’s just the tone of the media in our country. It’s not illegal to be conservative -yet. Another cartoonist (left) who worked on staff w/ a Pulitzer judge told him he praised Ramirez one of the years he won on his “use of parallel lines”. That’s called “GRAPHIX PAPER” -you can’t buy Graphix paper anymore. No disrespect to the very talented Mr. Ramirez. He’s a talent. But I doubt he’s aware of that insult. There is no point in entering political contests anymore if your perspective is from the right meaning the whole exercise is propaganda. One possible explanation for the silence, Mike, is that you addressed your question to someone who doesn’t appear to be present. I don’t know who “MC” is. 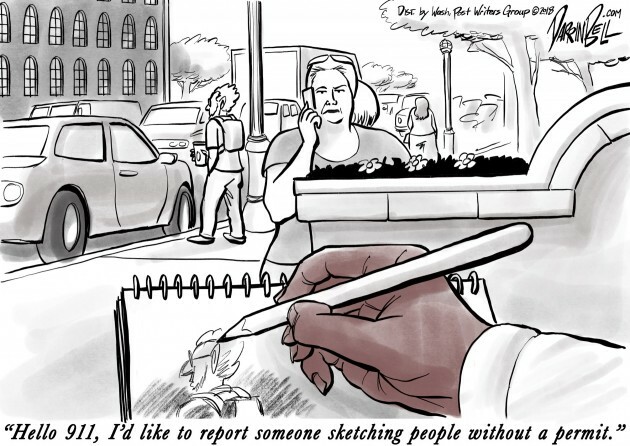 Meanwhile, the posting includes a listing of all recipients, including some right-of-center cartoonists. Apologies. Should have read: MP. Well, answer’s the same — check the link and you’ll see who won even before 1955 but also since. 23 queries in 0.274 seconds.